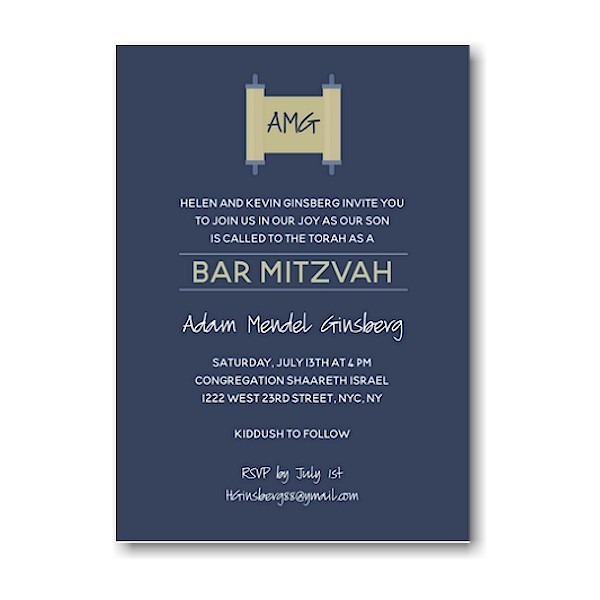 This handsome Bar Mitzvah invitation is digitally printed on both sides of our signature 110# smooth matte card stock and features your wording details displayed against a rich navy background. 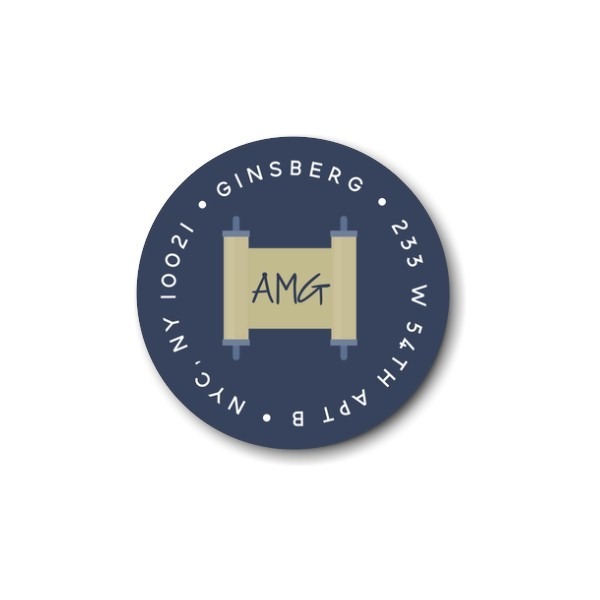 A Torah motif appears with your son’s 3-initial monogram appears at the top. 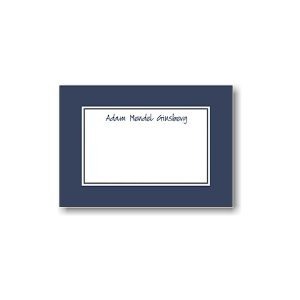 This handsome Bar Mitzvah invitation is digitally printed on both sides of our signature 110# smooth matte card stock and features your wording details displayed against a rich navy background. A Torah motif appears with your son’s 3-initial monogram appears at the top. Measures 5″ wide by 7″ high. Shown with White inks and combination lettering styles Blooming Elegant Sans/Lightening. 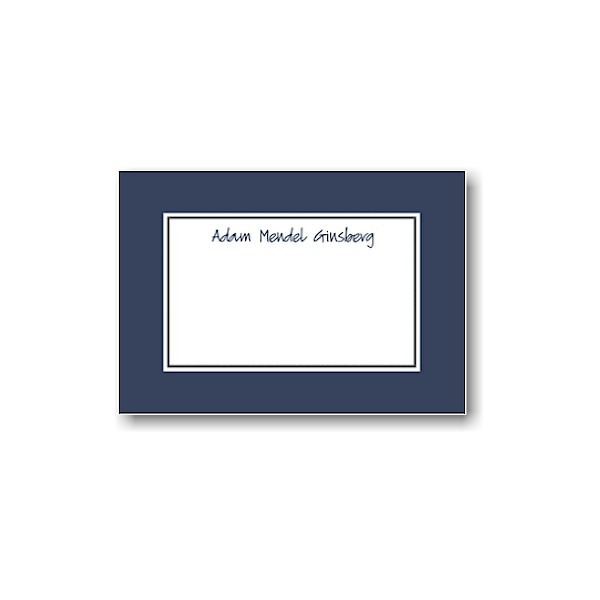 Single bright white envelopes accompany this Bar Mitzvah invitation.